For us busy bees, finding time to cook during the week can be very difficult. Which is why if you know me, you know I swear by meal prep! 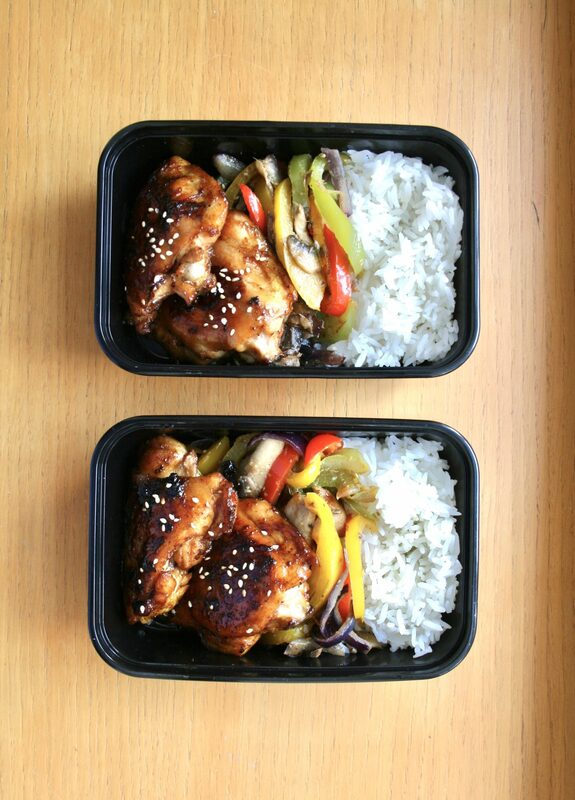 I love to prepare my lunches ahead of time during the week as it saves me a lot of time and money. As a result, I create tasty meals that I can look forward to. 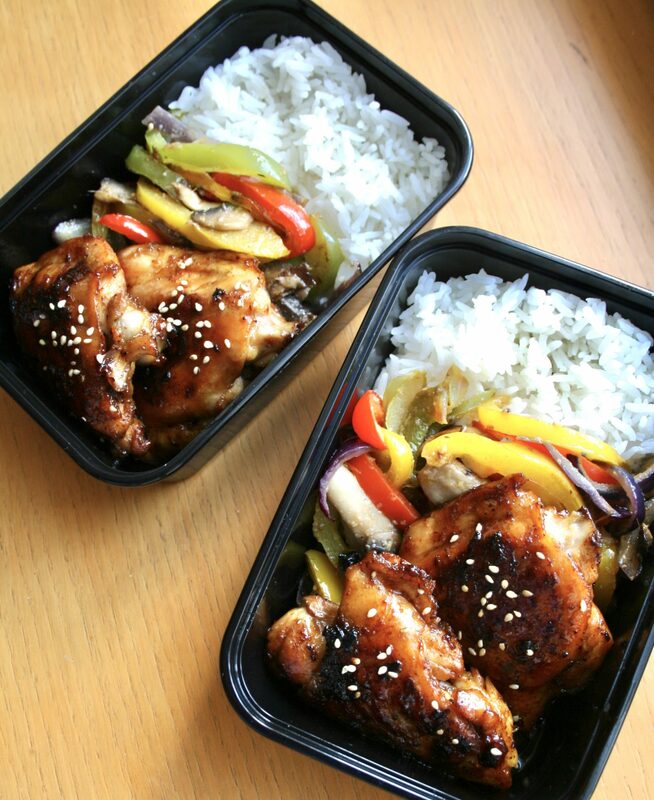 Honey soy is one of my favourite flavour combinations and it works perfectly with chicken. 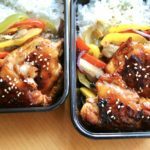 I’m a huge fan of oriental food and this Asian-infused meal is one of my favourites to prepare for my packed lunches because it’s so yummy! To go alongside this great source of protein, I added a grain (white rice) and some stir fried vegetables in order to produce a well balanced meal. White rice is great in small portions, which is exactly what I’ve done here. 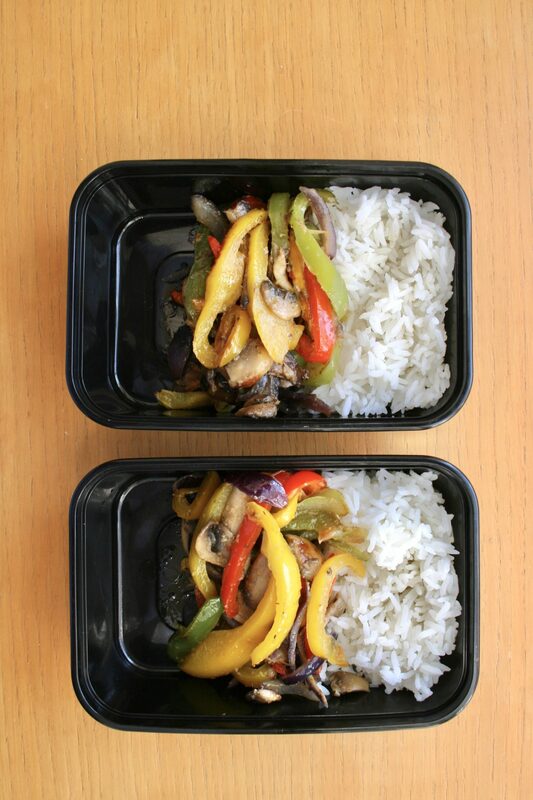 For the vegetables, I stir fried some bell peppers, red onions and mushrooms and seasoned with salt, pepper, garlic and ginger. Altogether, this packed lunch was one of the highlights of my working week! 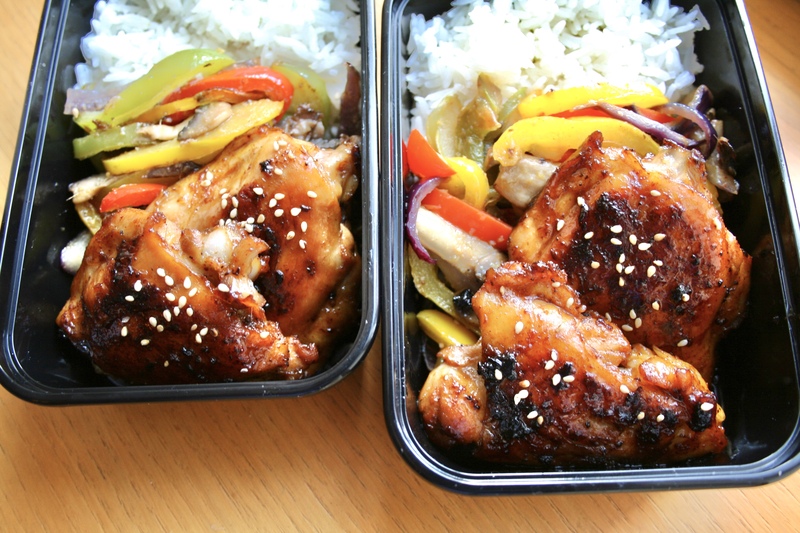 Without further ado, here is my Juicy Honey Soy Chicken Packed Lunch recipe. Wash your raw chicken and put in a bowl. Add your grated ginger, crushed garlic, ground black pepper, oil, chopped chilli, all purpose seasoning and soy sauce. Coat chicken thighs thoroughly in the mixture and place on foil and onto a baking tray. Place the tray in the oven at 180*C for 35 minutes or until fully cooked. Take the tray out of the oven and drizzle your honey over the chicken until each piece is coated. Place back in the oven to broil for 5 minutes. 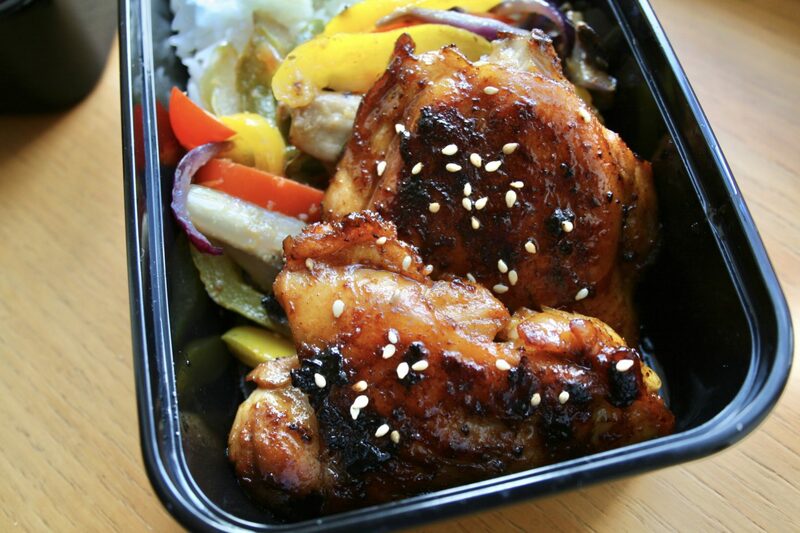 Take out, top with sesame seeds and enjoy with sides of your choice! For a complete packed lunch…. ⟵CARDIO VS. WEIGHTS? WHAT I DO FOR FAT LOSS!